at the moment... Made with daggy old 80's sewing patterns. I have sewn each of the panels onto a fabric backing then cut out with pinking shears. Today I felt well and truly back in the swing of things. After spending all day on Wednesday cutting out pieces for custom orders, today I was able to concentrate on the business of sewing. I was able to get through the day with minimal distractions. There was the usual tea breaks and facebook procrastination, but I managed to get a lot done. 4. Learn to enjoy cooking once again. I seem to have lost the joy of cooking since becoming a mum. 5. Stop neglecting my friends. A few drinks and a night of music and laughter every now and then will be good for me. 6. Be outside more. Let the fresh air fill my lungs and the sun touch my skin. 8. Dedicated play time with my small person. 9. Regular date nights with my love. 10. Real life crafternoons with like minded humanoids. 11. Try to keep my house a little bit more organised. Happiness, well being, self improvement. It's in the air. Great crafty idea! 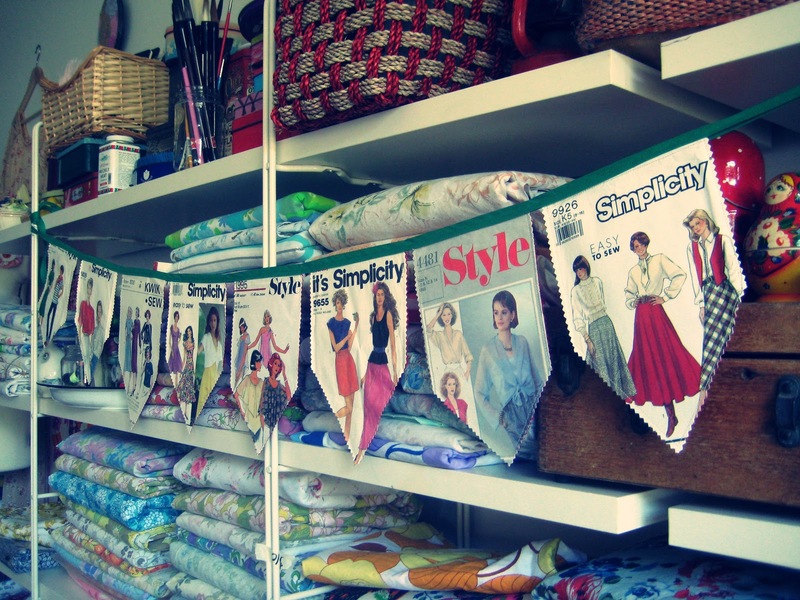 I'm a bit obsessed with bunting, but yet to try it myself. I've been making noise about simplifying my life too, starting with a massive cull of stuff. I honestly don't know where I accumulated all of these things! Good luck! This list is a great start, I need to take a leaf out of your book here! 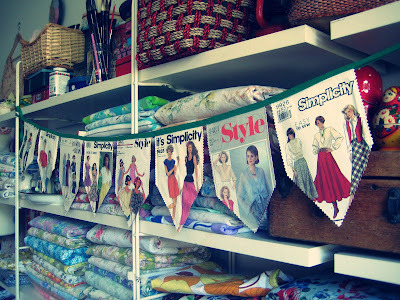 Your bunting is gorgeous & those neat fabric piles have made my heart skip a beat.. I'm hearing ya Bec! Ditto to all of the above! I need to add #15 SLOW THE MIND!!! Chamomile tea and black eyed susan..........see I know what to do, I just need to do it! By the way that Bunting of daggy 80's patterns NO longer looks daggy, it looks very groovey! Pannawonica - here we come!